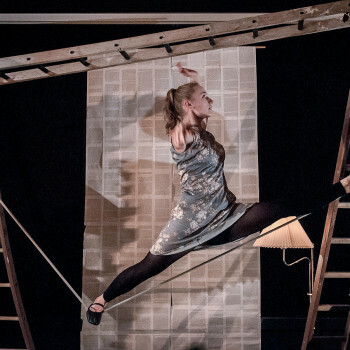 Graduating in 2010 from the National Centre for Circus Arts (NCCA) with a degree in circus arts, Alice fuses movement and theatre to create original and fresh contemporary circus performances. She is strongly influenced by literature, visual arts and cinema and is often inspired by historical figures and characters from literature. She is interested in creating dark and dramatic pieces that play with emotions and have a very strong and cinematic aesthetic. 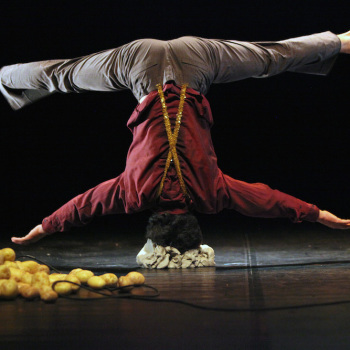 Alice has collaborated with several circus companies, devising solo, duo and collective acts and performing in venues around Europe. For more info on Alice Allart, click here. Alice Allart is a young circus artist who specialises in trick cycling, slack rope and object manipulation. She is strongly influenced by visual art, cinema and literature, which gives her work a bold visual identity. French born, she pursued her training at London’s National Centre for Circus Arts (NCCA) where she graduated in 2010. Since then she has toured with various international companies (Stumble Dance Circus, Keziah Serreau, Ilmatila, Osborne&What) as well as creating work under her own name with her company Bikes and Rabbits. Her first piece, Tryptich (2013), which has toured internationally, was a solo that mixed trick cycling, slack rope and object manipulation. In 2014, Crying Out Loud and The Place paired her with choreographer Patricia Okenwa to create a short piece as part of Blind Date at the Currency festival at The Place. 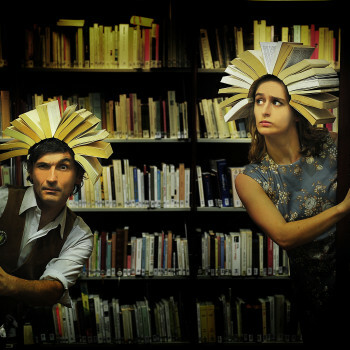 Currently Alice is working on These Books Are Made For Walking, a piece in which ancient books and circus meet. 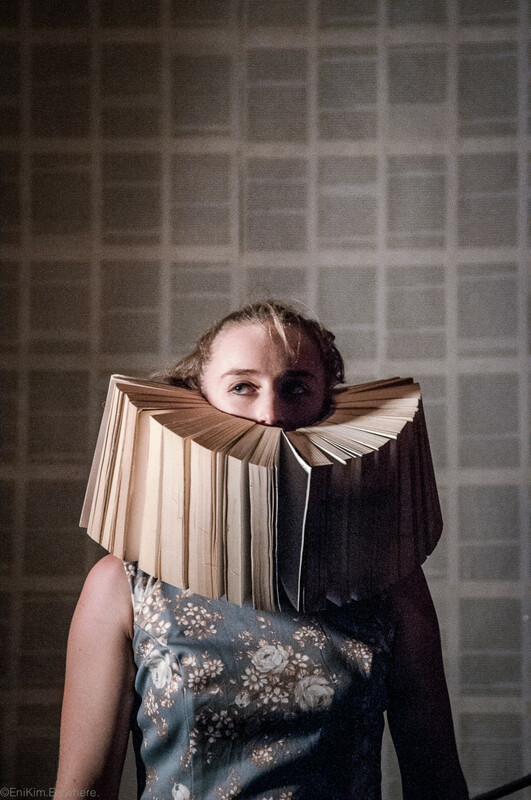 It’s a highly visual theatre performance around the themes of literature, and combines puppetry, multiple object manipulation and ingenious ways of manoeuvring her body and books simultaneously. 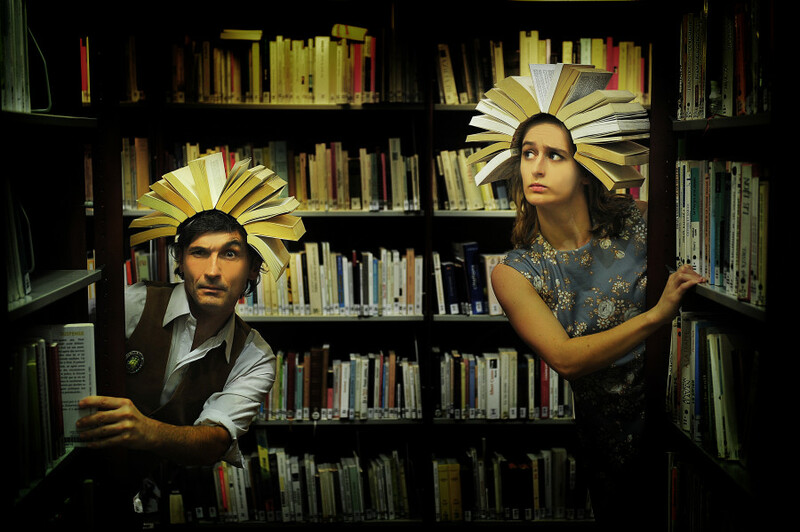 Books fly, and are clambered and climbed upon as well as being used as slippers to traverse the stage. Words found within their dusty covers are strung out into the open and literally soar through the air in a exquisite revealing of character and story. Crying Out Loud is supporting and developing Alice’s artistic practice, exposing her to a wider UK and international audience. A tour of These Books Are Made For Walking to black box spaces and libraries takes place in Spring 2016. She will also create work for Opening Out, our strand of work dedicated to children on the autistic spectrum.